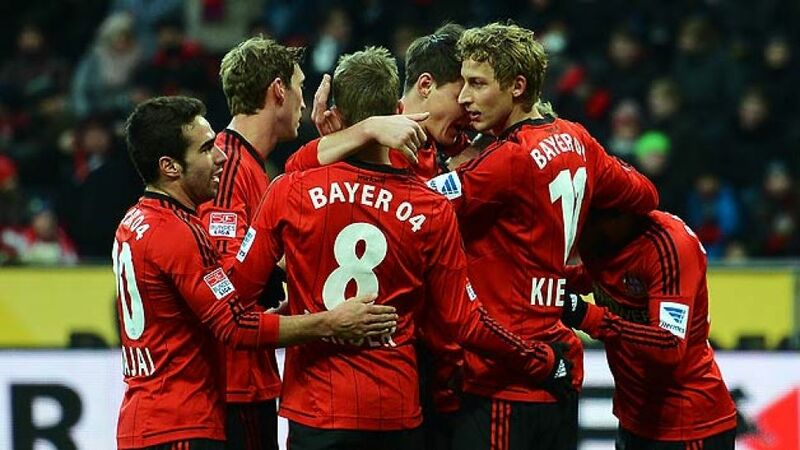 Munich - Another clinical performance from Stefan Kießling ensured Bayer 04 Leverkusen began 2013 with victory over Eintracht Frankfurt. VfL Wolfsburg got off to a winning start under new coach Dieter Hecking, while there were goalless draws in Hoffenheim and Mainz. Even at 3-0 down, Eintracht continued to compete and managed to pull a goal back through Alexander Meier’s classy curling strike, his tenth goal of the season. The deficit was too much for them to overhaul, though, and with a cuter pass, Bayer might even have added a fourth. As it was, as a 3-1 victory was more than satisfying for die Werkself, who remain in second behind Bayern, while Frankfurt stay in fourth. This was the first real opportunity for the Wolfsburg players to impress their newly-appointed coach Dieter Hecking, but Stuttgart had a gameplan to frustrate their hosts and it worked to good effect in the opening moments. Zdravko Kuzmanovic and Christian Gentner stifled Brazilian midfield maestro Diego, and with top scorer Bas Dost on the bench, Wolfsburg’s attack looked ineffective, with debutant Ivan Perisic also quiet. By the same token, however, Stuttgart were missing their biggest threat in attack, suspended striker Vedad Ibisevic, scorer of ten goals this term. Japanese international Shinji Okazaki led the line but found himself well marked by Wolfsburg’s Naldo and Simon Kjaer and saw little of the ball. A poked effort from Ibrahima Traore that brushed the side netting was the closest that either side came in an uninspiring first half. Yet if the first half had been uneventful, the second was anything but. Okazaki raced clear minutes after the restart but could only fire over the bar, before substitute Dost did the same at the other end. The Dutchman’s introduction had made a difference though, and Wolfsburg soon took the lead. As the defence backed off, Diego found space to skip clear of two defenders and drive a shot into the far corner. The presence of Dost added a new dimension to VfL’s attack and they soon began to dominate proceedings. Diego was at the heart of all that was good about their play and, after going close to adding a second himself, his free-kick invited Alexander Madlung to glance in for 2-0. Stuttgart attempted to rally, but Martin Harnik missed their best opportunities on a bad day at the office for the Swabians. For Wolfsburg, the win sealed a double over Stuttgart and they now move up to 13th place. and Kevin Volland unsettling the visting defence. However, bar a couple of pot-shots from distance, Marc-Andre ter Stegen's goal remained relatively untroubled. Gradually Gladbach found their rhythm and enjoyed greater possession in midfield, although they struggled to convert their dominance into chances. That was largely due to Hoffenheim's new-look defensive tactics. Aware that the 41 goals conceded before the winter break represented the worst record of all the top-flight teams, Kurz instructed his charges to sit deep. The safety-first strategy worked, with the sides going into the break on level terms. The game followed a similar pattern after the restart, although the home side failed to reproduce the same attacking adventure as they had in the first half. Seemingly content to collect a point, Kurz's men sat back and invited Gladbach to come forward without launching any meaningful counterattacks of their own. In the end both teams could be satisfied with the result. Hoffenheim ended a run of six consecutive defeats to collect their first point since mid-November, while it was a sixth straight unbeaten game for the visitors, who remain eighth in the standings. There was a curios juxtaposition on display in Mainz, where two clubs with opposing, yet equally successful philosophies went head-to-head. The visitors count on experience to get results, with the average age in the starting XI over four years older than their Freiburg counterparts. Nevertheless, both had collected 26 points prior to this meeting and each harbour realistic ambitions of finishing in the European spots come the end of the season. It was initially clear to see why Thomas Tuchel's men had won six of their previous eight home matches this term, as Mainz pressed high up the pitch early on, not allowing their guests any time to settle. Freiburg weathered the storm, though, and soon began to exert their own influence on the game, albeit without threatening to break the deadlock. Nikolce Noveski's close-range effort just before the break was as close as either side came to a goal. The stalemate continued long into the second half with neither side able to make any significant headway in attack. Promising breaks at both ends petered out all too easily and the action was soon confined to a congested midfield battle. The draw was a first at home for Mainz this season, while it extended Freiburg's unbeaten away run to sixth successive matches. The guests remain sixth in the table, ahead of their hosts on goal difference alone.